The film is notable for its screenplay, especially the repartee between Grant and Hepburn, for having been filmed on location in Paris, for Henry Mancini’s score and theme song, and for the animated titles by Maurice Binder. 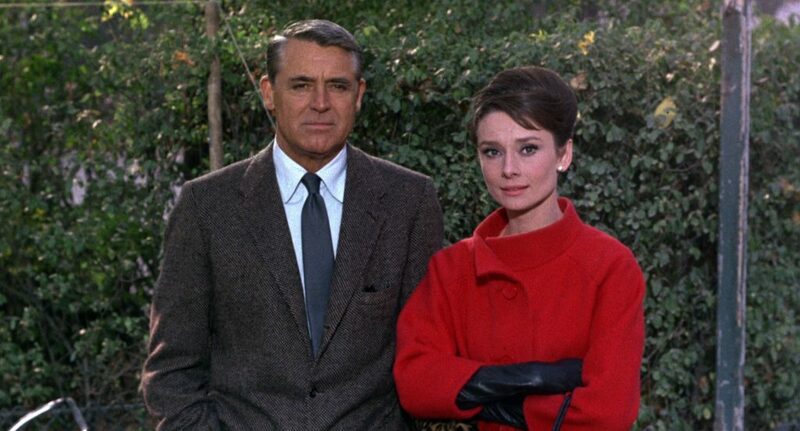 Charade has received generally positive reviews from critics, and was additionally noted to contain influences of genres such as whodunit, screwball and spy thriller. It has also been referred to as “the best Hitchcock movie that Hitchcock never made”. The film includes a notice reading “MCMLXIII BY UNIVERSAL PICTURES COMPANY, INC. and STANLEY DONEN FILMS, INC. ALL RIGHTS RESERVED”, but omitting the word “Copyright”, “Copr.”, or the symbol “©”. At the time (before 1978), U.S. law required works to include the word, abbreviation, or symbol in order to be copyrighted.